Many of you will be aware that Charlotte Malcolm has recently resigned from her role on the committee and the club is therefore currently seeking a new committee member. 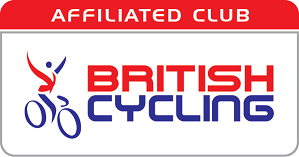 Apart from a passion for cycling, the only real requirements are a desire to help other club members, to help develop the club, and of course, a little time, (you also need to be a YOGi member – lol). If this position interests you, please contact us at info@yogicycling.com or chat to a member of the committee, we will be pleased to answer any questions you may have. We will announce our new committee member at the AGM on the 4th of July. Once again, the committee would like to thank Charlotte for all her hard work for the club over the past year. Thinking can be hazardous to you health Speedy!!!!! Oh and you definitely thought wrong.